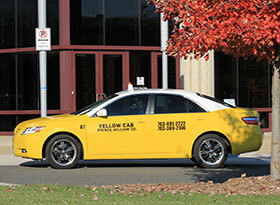 Yellow Cab of Prince William County is pleased to offer the residents and visitors of Prince William County a pre-paid cab fare solution - Taxi Cash Card! 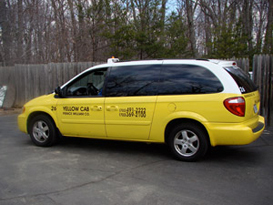 Yellow Cab was the first cab company in the area to offer reloadable transportation cards! 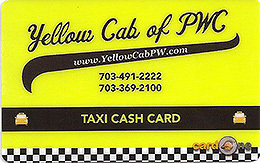 Taxi Cash Cards are pre-paid cab fare gift cards that can be used in ALL Prince William Yellow Cabs. They are securely purchased, prepaid, reloadable cab fare cards. Yellow Cab's Taxi Cash Card program is perfect for teens, the elderly, employee or client travel, and many other transportation needs. Taxi gift cards are the perfect way to get a safe ride home for all your loved ones. Give yourself peace of mind when you give your loved ones the gift of personalized curb to curb transportation; a safe and easy ride anywhere, anytime. Taxi Cash Cards are the perfect addition to parent and teen contracts for life. Purchase a card for your teen and sign a contract so that they are never forced to travel with an impaired driver or to drive impaired themselves. Use Taxi Cash Cards to provide safe and sober transportation for your teen. Yellow Cab Taxi Cash Cards make great gifts. Prepaid cab fare gift cards ensure that people you love who are unable to drive have access to personalized curb to curb transportation; a safe and easy ride anywhere where they need to be, anytime. Cards can be purchased in our office or via the application at the top of this page. There is no minimum purchase required for a Taxi Cash Card and they can be reloaded with as much or as little as you like, whenever you like. Please be prepared to pay any amount that the balance on your Yellow Cab Taxi Cash Card may not cover. Call 703-491-2222 for additional information.